MWR offers a great variety of recreation opportunities, indoors and out, for the whole family. Outdoor enthusiasts of all ages will enjoy boating, camping, hiking, archery, paintball, hunting, fishing and more. Athletes will appreciate our trails, races, sports programming for children and adults, and our pools and fitness centers. Those who prefer their recreation indoors will find plenty of opportunities in our recreation facilities, bowling and bingo centers, our indoor playground, gaming centers and more. All within minutes of your front door! Six schools are nestled in the neighborhoods on Fort Benning and serve approximately 2,000 students. The Department of Defense Education Activity (DoDEA) oversees the five elementary schools and one middle school, which are part of the DoDEA Americas' Southeast District. DoDEA's number top priority for students is College and Career Readiness (CCR). CCR standards set grade-by-grade learning expectations for students in grades K-12, and are focused on ultimately preparing high school graduates for success in college and careers. 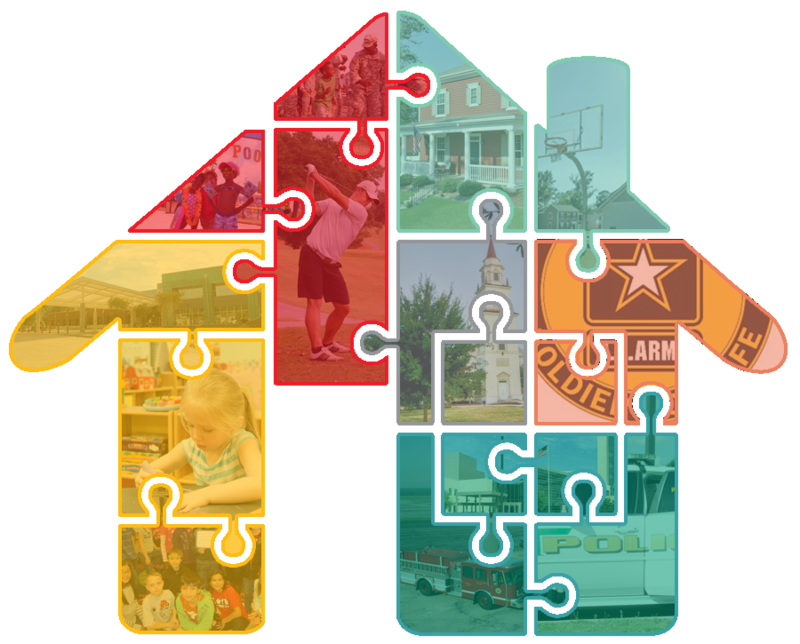 Children are eligible to attend the DoDEA schools as long as their sponsors are full-time active duty military or current DoD civilian employees and reside in permanent housing on the installation. Parental involvement in our schools is both welcomed and encouraged. Partners in Education (PIE) between the military community and the schools give students the soldier mentor, when deployments may have greatly affected their young lives. Fort Benning school teachers have been named DoDEA Teachers of the Year and principals have been honored as National Distinguished Principals of the Year. Fort Benning students consistently score well above the national average on standardized tests taken by students around the world. Small school size, continuous teacher training and smart teacher to student ratios bring more Soldiers and their families to live on Fort Benning and to realize that #lifeisbetteratbenning. The Villages of Benning offers the luxuries of having your own home without the headaches of home ownership. Most utilities, landscaping, pest control and maintenance needs are included in your rent! The Villages of Benning offers competitive flat rate rental options which include utilities, as well as move-in specials. There are no pet fees or rent, and no deposit is required for the first two pets. There are no application fees or security deposits required for Active Duty Military. No community amenity or HOA fees! The Villages of Benning has six conveniently located neighborhoods throughout Fort Benning with free access to pools, clubhouse and so much more. Enjoy a hassle-free commute to and from work and save on gas with little-to-no wait times or traffic. Fort Benning enjoys the lowest crime rate within the region. Access control to Benning far exceeds the security of any gated community. Visitors are vetted using an all state criminal history check and every Access Control Point has armed security. We have an award winning Fire Department, they've been recognized as the Department of Defense Fire Department of the Year 2011 and 2014. During 2015 the Fort Benning Fire Department responded to 3,000 E911 calls without the loss of life or significant property damage. For Benning Police and Fire are capable of responding to all housing areas in under 7 minutes. This response time is among the best regionally for housing areas. Our Fire Department is staffed and equipped to provide response to E911 calls with the capability to provide comprehensive structural firefighting, technical rescue, hazardous materials and emergency medical services. Fort Benning First responders enjoy great relationships with our community partners with effective mutual aid agreements in place to ensure we can respond to all hazards on base. Residents of the Villages of Benning are able to request MP patrols when on vacation or leave. On Fort Benning, you'll find quick and easy access to and from work, shopping, dining and entertainment. Retailers such as Starbucks and Domino's are located in and around neighborhoods, as well as several gas stations, convenience stores and fast-food restaurants such as Arby's, Subway, Zaxby's, Little Caesars, Pizza Hut and Burger King. The Commissary and Main Exchange are co-located in a central location in close proximity to the new Martin Army Community Hospital - a state-of-the-art full service medical center, housing all family and specialty clinics, pharmacy and a 24/7 emergency room. Religious support is available with a variety of choices: 40 weekday services/programs, 24 weekend services in a variety of denominations and 8 convenient chapels.